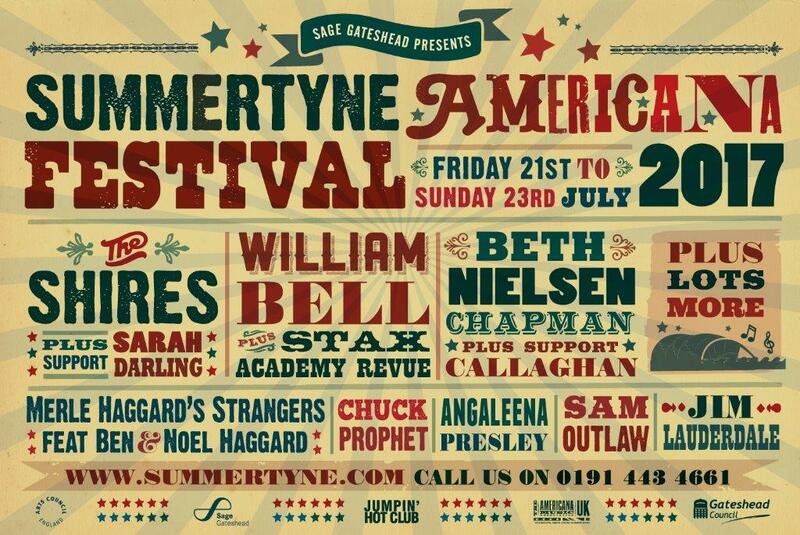 SummerTyne Americana Festival is a free festival at The Sage, Gateshead which has lots of free music, stalls and activities as well as the option to purchase tickets for some concerts such as The Shires. The atmosphere on Friday night was incredible, there was lots of great music on both the indoor and outdoor stages. The Shires had support from both Sarah Darling and Catherine McGrath, all three acts I was so excited to see. Catherine McGrath opened her set with ‘Hell Would Have To Freeze Over’, the song that opens her first EP. She played songs from both of her EPs ‘One’ and ‘Starting From Now’ such as ‘She’ll Never Love You’ and ‘Just In Case’. She also performed a new song titled ‘Wild’ about her recent trip to a Coldplay Concert. I really liked this song, her vocals were incredible and the song tells a great story, I really hope this gets released very soon. Catherine told the crowd the stories behind almost all her songs which I found interesting and made her set feel a lot more intimate. Overall, I really enjoyed Catherine’s set and will definitely look out for more of her live performances. Sarah Darling then came onstage and opened her set with ‘Wandering Star’ which was followed by one of my favourite songs ‘Where Cowboys Ride’. 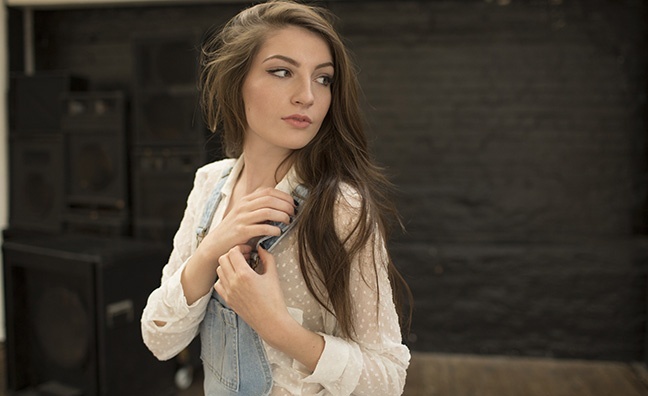 Sarah has such a melodic voice which is matched perfectly with her escapist songs about stars and dreams such as ‘Stargazer’ and ‘Starry Eyes’. As well as her peaceful, melodic tracks Sarah also performed some of her more upbeat tracks such as ‘Home To Me’. and her cover of Jill Andrews’ ‘Tell that Devil’ . Her cover of Dolly Parton’s ‘Jolene’ was incredible and got the crowd singing along. She also performed a new song which I didn’t get the title of but had the lyric ‘I’ve got more issues than Vogue’, this catchy and upbeat song was great and I really hope it gets released soon. Sarah’s set was incredible, her optimistic songs relate to everyone and I though her voice was amazing too. I can’t wait to her more Sarah Darling music and see her live again in the future. The Shires then took to the stage with ‘Nashville Grey Skies’ which got everyone singing and set the enthusiastic and upbeat tone of the entire set. They had a great mix of their ballads such as ‘I Just Wanna Love You’ and ‘Brave’ mixed with their upbeat tracks such as ‘Not Even Drunk Right Now’ and ‘All Over Again’. Crissie also performed a beautiful rendition of ‘Daddy’s Little Girl’ which took my breath away. The Shires also performed two covers, the first being ‘Islands In The Stream’ from their first album Brave and later they performed their cover of U2s ‘With Or Without You’ which they performed recently on BBC2, both of their covers were incredible. There was a great mix of songs from both their albums with some of my favourites being ‘Drive’, ‘State Lines’, ‘Beats To Your Rhythm’ and ‘Jekyll and Hyde’. To finish their set, they performed ‘Made in England’ and ‘A Thousand Hallelujahs’ which had everyone on their feet and signing along. The Shires have great stage presence, talking to the crowd between songs and telling us stories about themselves, their band and their songs. Each time I see The Shires live they blow me away, they are incredible and hope to see them again very soon. The whole event was incredible, all the artists were amazing and the atmosphere was incredible. I hope to be back at SummerTyne next year, hopefully for the entire weekend because going for just one night wasn’t enough.